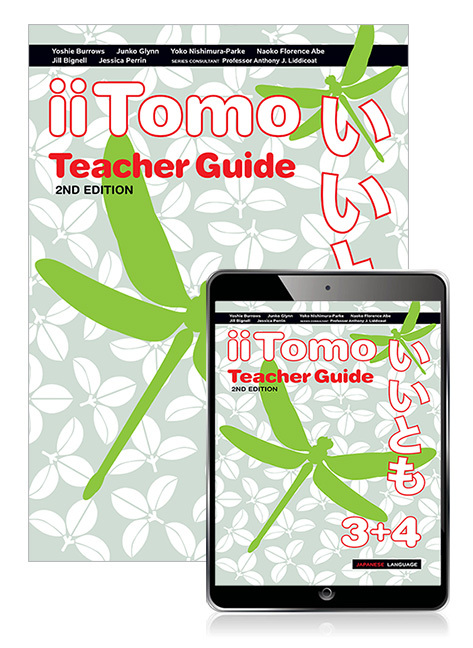 Preview sample pages from iiTomo 3+4 Teacher Guide. This teacher combo pack contains 1 copy of iiTomo 3+4 Teacher Guide and 1 access code card to iiTomo 3+4 Teacher eBook, and audio download. Pearson 9781488672729 9781488672729 iiTomo 3+4 Teacher Pack This teacher combo pack contains 1 copy of iiTomo 3+4 Teacher Guide and 1 access code card to iiTomo 3+4 Teacher eBook, and audio download.